This Black Friday, 50% of traffic will be from mobile. Are you ready? During the 2013 Black Friday shopping period, 40% of all online traffic came from mobile devices, yet US retailers left almost $16B in mobile commerce on the table. That's an awful lot of missed opportunity. 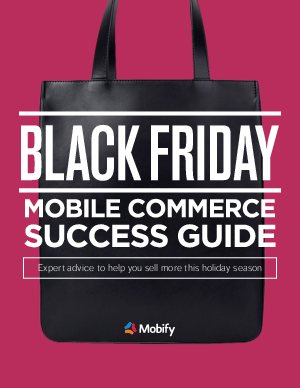 In this guide from Mobify, you'll get strategic advice for accelerating mobile development in time to make a meaningful difference in your company’s performance during the 2014 holiday shopping period.